Albertson Memorial Church of Spiritualism (member of the National Spiritualist Association of Churches and the Connecticut State Spiritualist Association) is a growing and dynamic church. Our ministries are wide-reaching and seek to fulfill your spiritual, religious and community needs. Our members and Board of Directors have managed to create an open and loving atmosphere within the Church; one which welcomes people from all faiths and denominations. As a Spiritualist Church, our doors are open to everyone. Genuine Spiritualism is truly interfaith, in that its foundation stones (both religious and spiritual) are firmly implanted in the Spirit, and it is the Spirit (Divine and individual) which weaves a thread of continuity amongst all faiths. Our Church is a New England style church on the main street of Old Greenwich, Connecticut, a lovely community just a short train ride from the center of Manhattan. Old Greenwich has managed to maintain its rural, small-town atmosphere, with its shops, boutiques, toy store, barber, hardware store, fire station, and grammar school. Albertson Church is located right next to the Town Grammar School, a roughly five-minute walk from Old Greenwich train station (Metro North Line from Grand Central). If you are looking to rent space, then check us out. 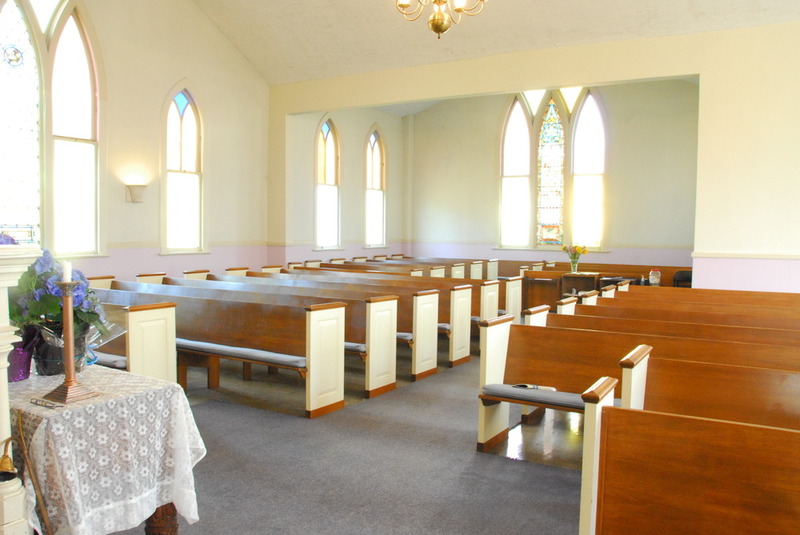 If you are seeking a place to hold your wedding, then our Church is just perfect. Its sanctuary is simple, with lovely stained glass windows, and seats, comfortably, around 150 people. We have a sizeable function room, with full kitchen facilities. Please feel free to e-mail us at: albertsonchurch@gmail.com for any questions or requests. Our next Membership Class will be held in the near future, we will post the date on our classes and events page. Thank you and we hope to see you at Sunday worship. Keep all comments/activities made at meetings of the Board of Directors confidential unless otherwise authorized by the Board to make comments/activities public—whether acting on the Board of Directors OR meeting with the Board of Directors.